Paris — A human tooth that dates from nearly 560,000 years ago, was found by a 16 year-old volunteer student in France. The tooth was found in Arago, a cave close to the village of Tautavel. This site has been under excavation for nearly 50 years, as it is one the world’s most important and famous prehistoric locations. This discovery is for archaeologists the oldest human body part ever found in France and very rare from that period in Europe. Tony Chevalier, a researcher at Tautavel’s archeological laboratory, who referred to the tooth as a “major discovery”, explained that the adult tooth will in fact fill a gap between older human fossils, mostly found in Spain and Germany, and more recent ones. 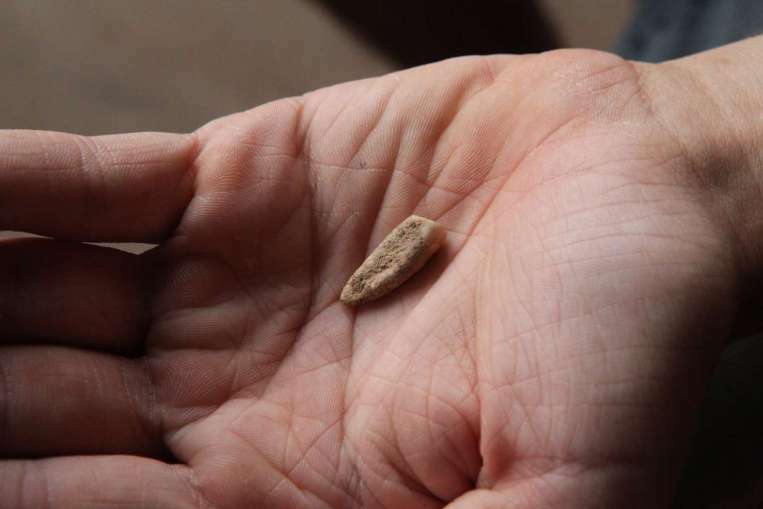 Christian Perrenoud, an archaeologist and geologist who has been the director of Tautavel’s excavation for nine years, claimed that his team used different dating processes to determine the age of the tooth. He also said he is “pretty confident” that his team of experts will find more human remains from the same period. Their objective is “to determine what human activities looked like 560,000 years ago,” he said. Another relevant figure in the archaeologist world, Professor Chris Stringer, a researcher in human origins at the Natural History Museum of London, was also excited by the founding. “Well-dated teeth of this age are very important as they probably belonged to the species Homo Heidelbergensis, which is already known from Arago in France, Mauer in Germany and Boxgrove in England…If the tooth has calculus attached to it, this may also provide direct evidence of the diet of these ancient humans” he added. The teenager who found the tooth is a 16 year-old volunteer, called Camille. She was working in the cave with other young students when she discovered it.